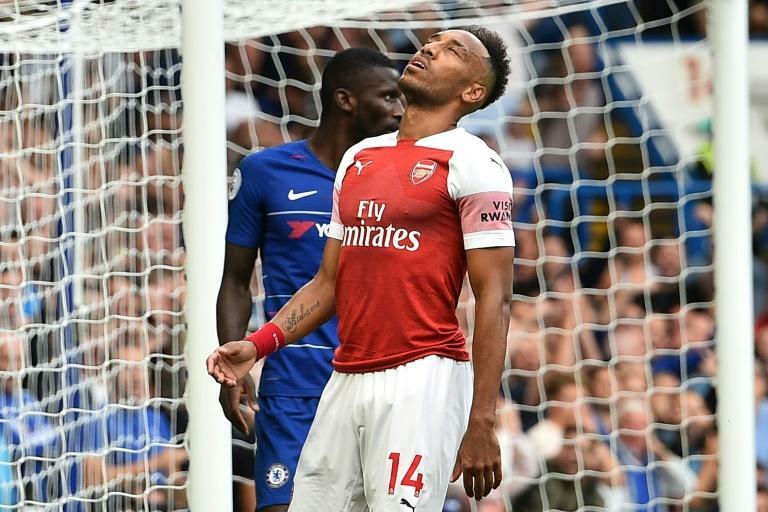 Arsenal manager Unai Emery says misfiring striker Pierre-Emerick Aubameyang is struggling with a lack of confidence after his barren start to the season. The Gabon international was especially profligate in last weekend's 3-2 loss at Chelsea as he wasted several opportunities to put Emery's side in control. Emery admits Aubameyang, who signed from Borussia Dortmund in January, needs a confidence boost to get back on track, ideally starting with a goal or two in Saturday's Premier League clash against West Ham. "Aubameyang needs to find the confidence, then to score and score another," Emery said. "I know a lot of strikers in my career and it's about the moment, they need to be in the moment, and he's the same. "But I'm sure now that Aubameyang, (Alexandre) Lacazette, Danny Welbeck, they will score more goals in here, for us, in Arsenal." Aubameyang's struggles have come as a surprise after he made a flying start to life with the Gunners, scoring 10 times in just 13 league appearances last term under Emery's predecessor Arsene Wenger. Emery has spoken to Aubameyang and reassured him he will eventually rediscover that prolific form. "Last year, Aubameyang scored goals here and for that I spoke with him more times and I have given him my confidence with his work," Emery said. "He is going to find goals. The first six months for him here is good and he was doing goals last year and for that I am sure he is going to do the same this time." Aubameyang has been preferred to fellow striker Lacazette in Emery's opening two games as the French forward was given substitute appearances in the first two games. West Ham have conceded six goals in their opening two matches, but Emery doesn't plan on fielding both his leading strikers from the start this weekend. "At the moment, no. I think we need to have the control with the possession, with the positioning on the pitch, with more players inside," he said. "After this possession, to do the attacking moments and defending moments with this balance."